Summer may be over, but that doesn't mean the partying has to end. (SPOT.ph) Who says the partying has to stop once the rainy season rolls around? There's still plenty of good reason to grab your friends and dance the night away at Neverland Manila. The 2017 edition will be bringing international music festival Young Gunz to our shores! 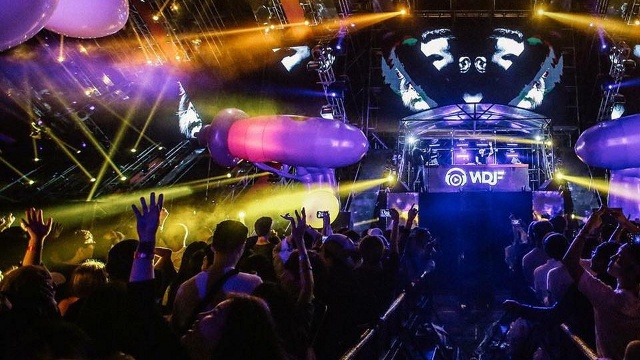 The lineup will feature eight international DJs, including: Blasterjaxx, Kura, Firebeatz, Tom Swoon, Thomas Newson, and Sick Individuals, as well as performances from local DJs Deuce, MRKIII, and Borhur. Check out their massive show in Korea! 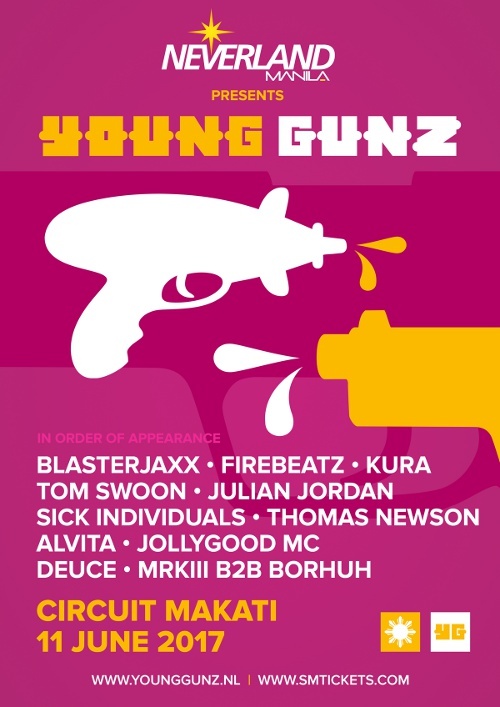 Previous Asian and European tours from Young Gunz have given concertgoers a completely immersive experience, from champagne bottles that flash in sync with the music to actual "Watergunz" and audience competitions. Neverland Manila is happening on June 11 at Circuit Makati. Tickets are priced at P2,625 (VIP Standing) and P2,100 (Gold), which you can buy at SM Tickets. VIP Tables come with free drinks, and are available through reservations@neverlandmanila.com. For more information, call SM Tickets at 470-2222 or visit Neverland Manila's official Facebook page.